Hermes Real Estate and Canada Pension Plan Investment Board (CPPIB), as part of their 50:50 London partnership, have agreed to acquire the offices and retail elements, along with the residential ground rent income, of South Bank Tower by way of a forward commitment to purchase from joint venture owners, Jadwa Investment and CIT Group. 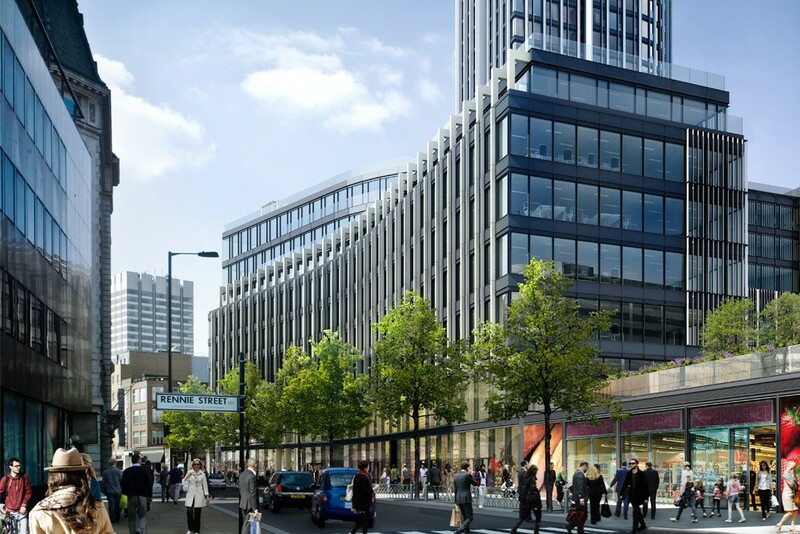 South Bank Tower, which was previously known as King’s Reach Tower, is a mixed-use scheme that involves the redevelopment of the original Seifert designed building. The scheme is set for practical completion between October 2015 and May 2016 and will comprise circa 269,000 sq.ft. office and retail accommodation, along with 191 residential apartments. All of the residential apartments will be accommodated in a tower that will have been extended by 11 stories to provide a total of 41 floors. Chris Taylor, Chief Executive, Hermes Real Estate said: “Hermes Real Estate continues to deliver exceptional returns for its investors and has a reputation in the market for innovation and deliverability. Moreover, we have demonstrated our continued ability to source opportunities off-market and acting decisively backed up by our conviction on understanding how occupiers assess real estate.